The CostcoAuto Program allows Costco members to buy discounted cars through participating dealerships. The program makes a lot of the hardest parts of buying a car – like research and negotiation – easier. But it also limits the customer’s options in some areas. Even if you know what kind of vehicle you’re looking for, you have to decide on the brand, model, and model year you’d like, as well as the dealership you want to use, whether you’d like to buy new or used, and whether you want to buy or lease. Where do you start your research? Which sources can you trust? What’s a reasonable price? In the past five years, over 1 million Costco members have purchased a vehicle through the program, which allows members to research and compare vehicles, calculate monthly payments, and get a discount at participating dealerships through the program’s website or call center. While the size of the discount varies based on the vehicle’s class, brand, and model, a Costco Auto Program representative told Business Insider in March that the average discount was over $US1,000 off a vehicle’s average transaction price. And since the program is available only to its members, Costco has plenty of reasons to vet dealers and salespeople so their customers don’t end up feeling tricked and blame Costco. “We’re not just providing leads to dealers – we’re creating a referral,” Rick Borg, a Costco Auto Program senior executive, told Business Insider in March. 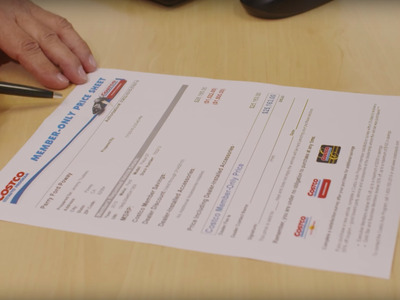 Here’s how using the Costco Auto Program is different from the average car shopping process. This may sound obvious, but while nonmembers can use some of the program’s research tools, only Costco members are eligible to get the discounted price. One of the most difficult parts of shopping for a car is figuring out where to start and end your research, especially if you don’t read car reviews for fun. While it never hurts to compare research from multiple sources, the program’s website provides a good place to start. 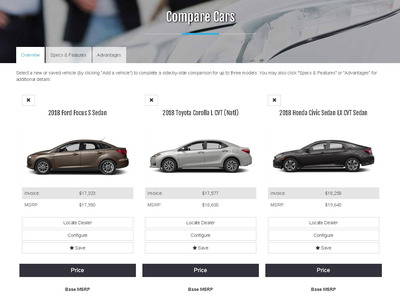 Borg said Costco works with one dealership per brand in a defined geographic area around a Costco warehouse – and at each participating dealership, only a handful of salespeople are authorised to work with customers shopping through the program. He said Costco picks dealerships based on prices, customer satisfaction index scores, and reputations on social media. Authorised salespeople are also evaluated based on their customer satisfaction scores and must work at their dealership for at least six months before they are eligible to work with the program. But the limited number of dealerships and salespeople makes things a little more difficult for customers who don’t end up satisfied with the first dealership Costco recommends. While Borg said Costco can point customers to other participating dealerships, they may not be geographically convenient. Negotiating the price of a car can be intimidating. While the dealership has much of the information – inventory, the dealership or salesperson’s proximity to their sales goals, the average discount customers receive – you want to get the lowest possible price. If Costco’s incredibly generous return policy is any indication, it will bend over backward to retain its members. Buying a car is a much bigger investment than a grocery trip, and the company doesn’t want its members to associate it with a $US40,000 purchase they regret. Borg said that while the company is “fairly selective” about which dealers it works with, it also provides customer support before and after a purchase. “Are we going to advocate for members? Absolutely,” Borg said.